Caroline is a dance artist and Feldenkrais practitioner working in West Yorkshire. She has worked in dance since 1989, performing with Nomads Dance Company, The Levi Sisters, Entelechy/Yolande Snaith and the Monday Group. Her work has many influences including: Steve Paxton and Touchdown dance, the Alexander Technique, improvisation with Julyen Hamilton, classes at the Klein Studios and summer schools with Gill Clarke, Scott Clark and Lucia Walker. 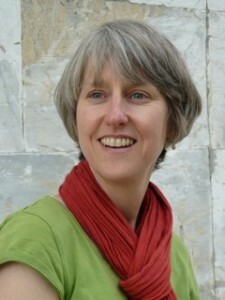 Caroline completed the Amsterdam International Feldenkrais Training (AIFT) in October 2002 and since moving to Yorkshire in 2005 has taught dance at Woodbank Primary school alongside developing her Feldenkrais practice with a particular focus on injury prevention and rehabilitation for dancers.